We provide efficient, customized, quality business products and services in healthcare information technology with global offices in Europe and the USA. Our mission is to contribute positively to the world and empower others through innovative technology. We aim to set up a global and interoperable network of health information and technology to enable health providers, caretakers and healthcare consumers alike. Omni Micro Systems, Inc., a Delaware corporation in the USA and Omni Micro Systems/ Omni Med Solutions GmbH, a German company, designs, develops, distributes and implements technology and information systems, predominantly in the healthcare information technology field. Omni Micro Systems, Inc. is a software and technology development company with the European Headquarters located in Hamburg, Germany, an office located in the heart of Silicon Valley, California, USA and partners and collaborators around the globe. Founded in 2008 Omni Micro Systems, Inc. is a health information technology development and consulting firm focused on using its talents, resources and ingenuity to create technology and products to give back and positively contribute to our community, society and the world. 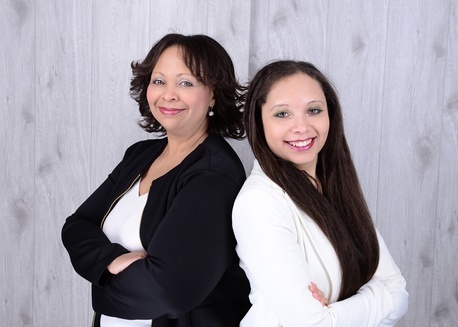 The women-minority owned company founded in 2015 with Omni Micro Systems/ Omni Med Solutions GmbH in Hamburg to bring valuable lessons learned within the American healthcare IT industry to Germany and Europe. Our management team and workforce includes a multinational, multicultural and highly diverse group of talented consultants, designers, analysts, developers, engineers and others who bring a wide array of strengths and backgrounds to the organization. 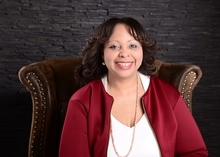 The CEO and founder of Omni Micro, Rachelle Blake - PA/ MHA - has been in the information technology, workflow, quality assurance, education, health care and computer applications industry for more than three decades. 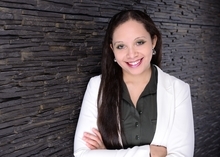 She incorporates her extensive clinical experience, background in business administration, executive level IT experience and dedication to maintaining a world view philosophy on business and life into the direction of Omni Micro Systems/ Omni Med Solutions GmbH. The COO and Vice President of Omni Micro, Angelique Blake, brings a fresh perspective to the business. She has become adept in the management and operations of healthcare information technology and is poised to lead Omni Micro into the future of eHealth. Make a positive change in our communities. Deliver superior, consistent and quality products. Simplify technology - make it simple and make it useful. Enable clinicians to practice care to the best of their abilities. Reach out globally, especially to the underserved and in developing regions. Enjoy our work and balance our lives.